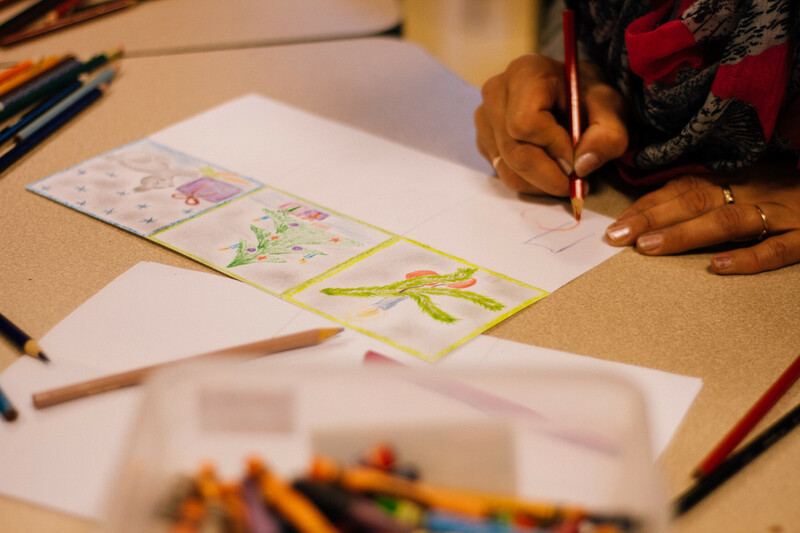 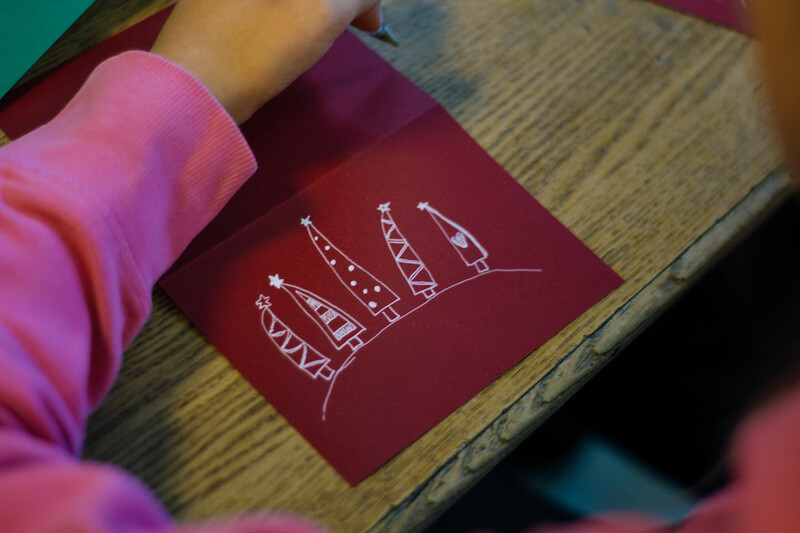 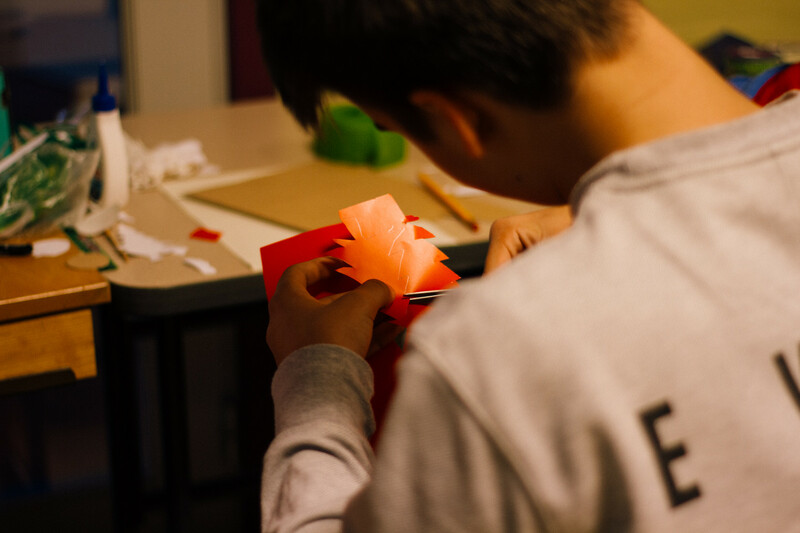 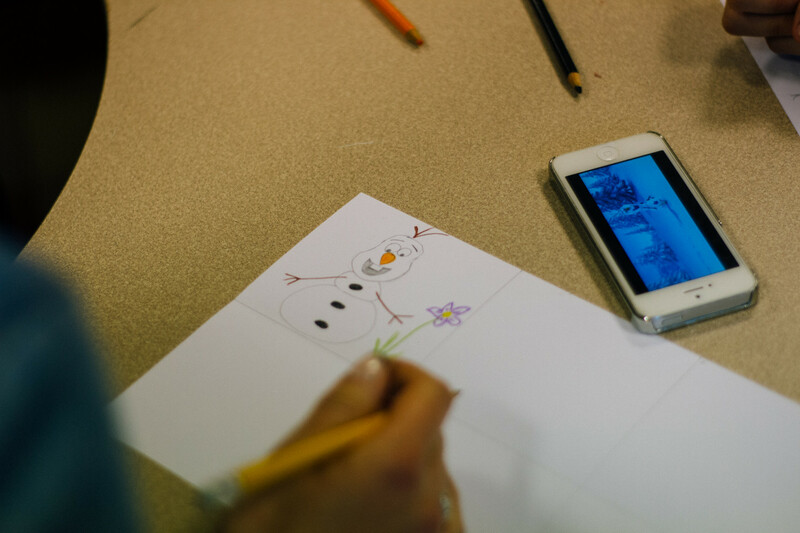 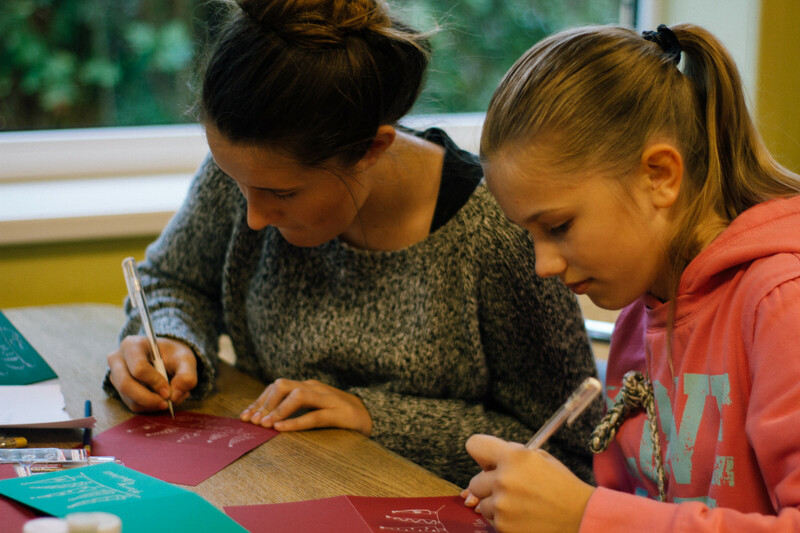 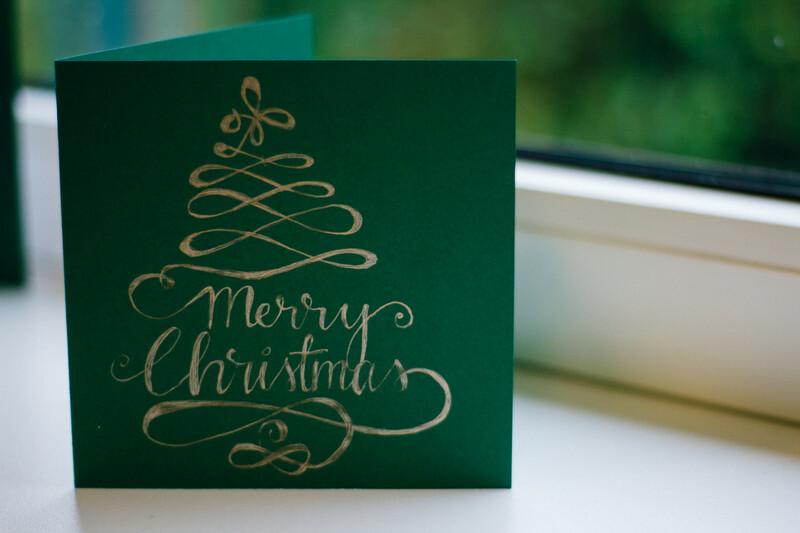 On the 8th of October at the school’s lobby there was Christmas Card workshop, where 47 creative students and their parents were making cards. 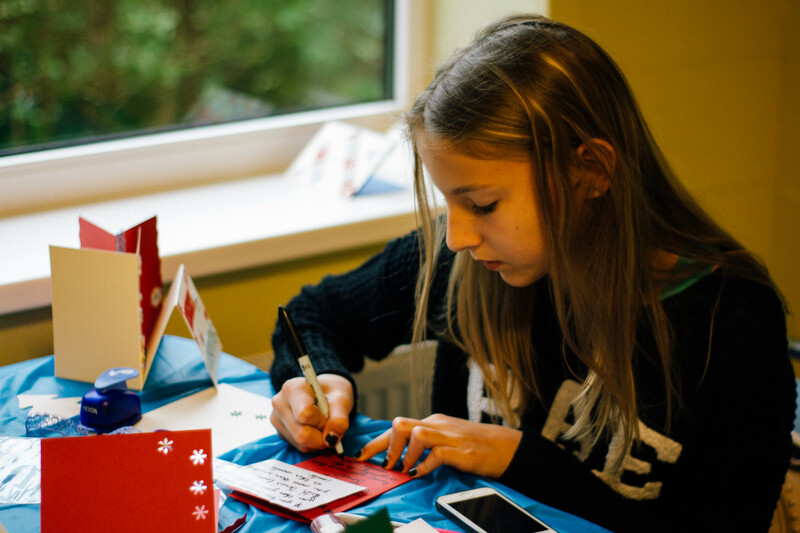 Within a few hours more than 200 beautiful Christmas cards were made and now they are ready to travel over the ocean to TCS friends in the USA. 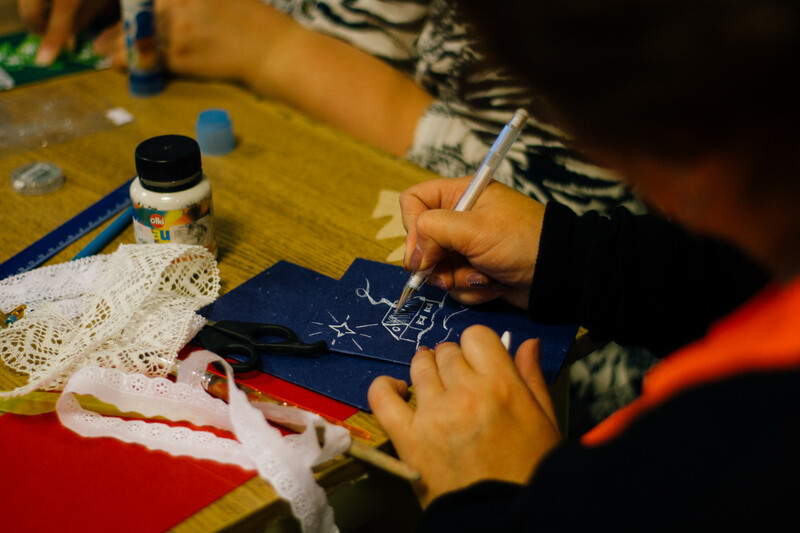 Thanks to everyone who found some time to participate in this workshop! 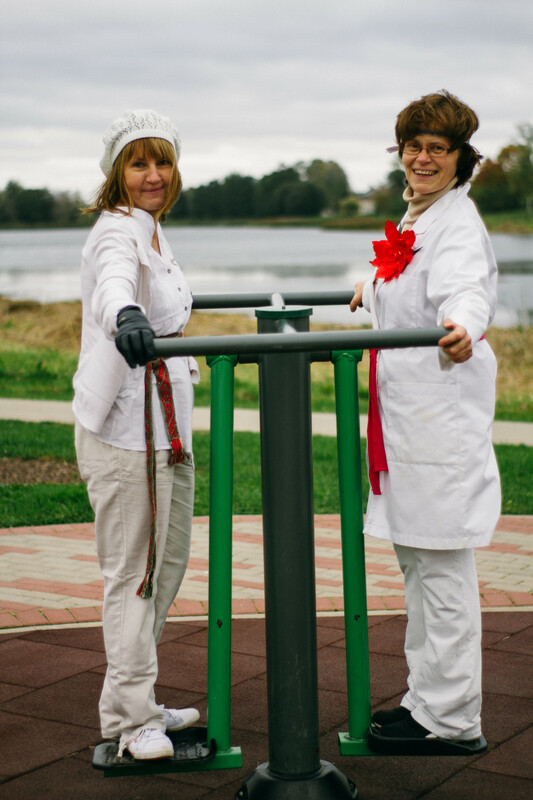 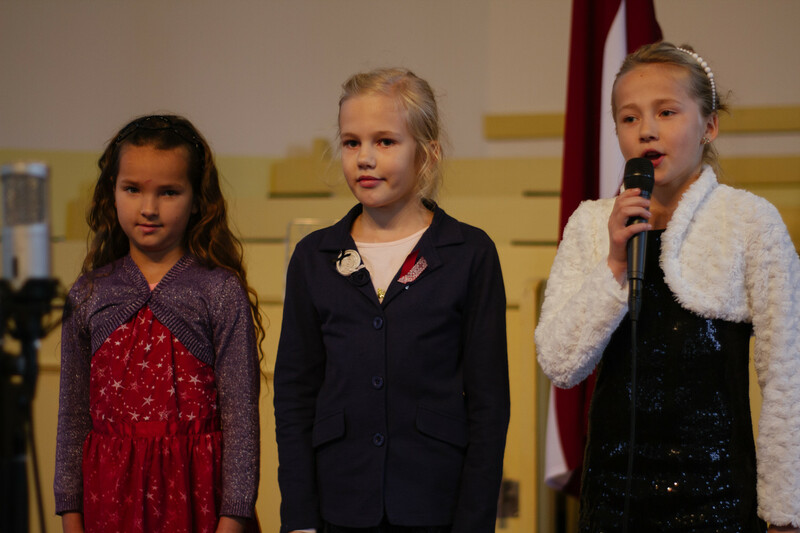 On the 7th of October our school was celebrating Talsi Christian Secondary School’s Olympic games/Teacher’s day. 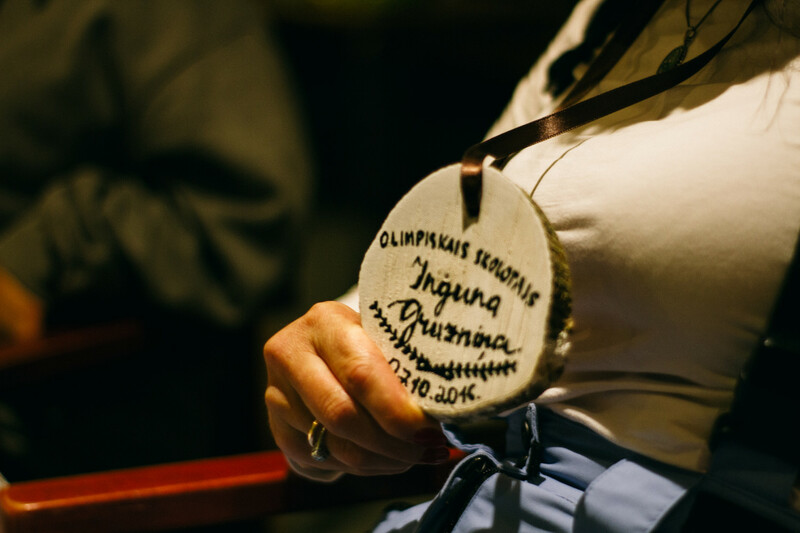 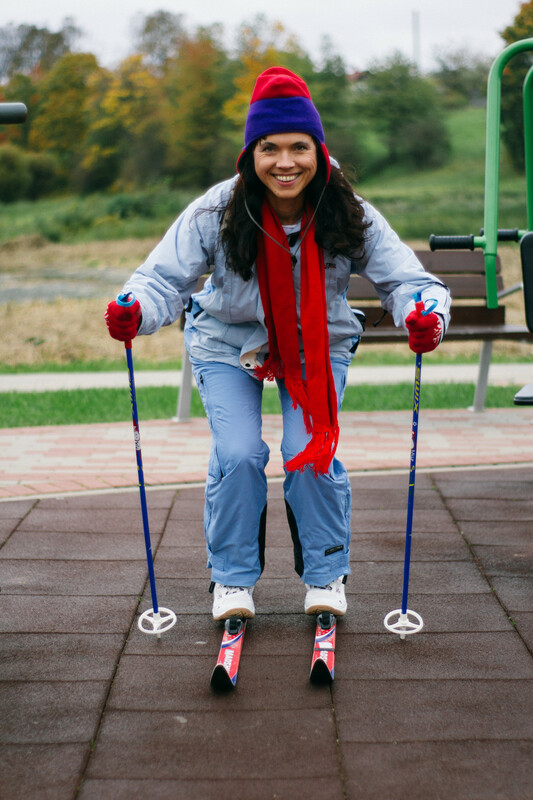 Teachers and staff members were raffling one of the olympic sports, which was also their dresscode. 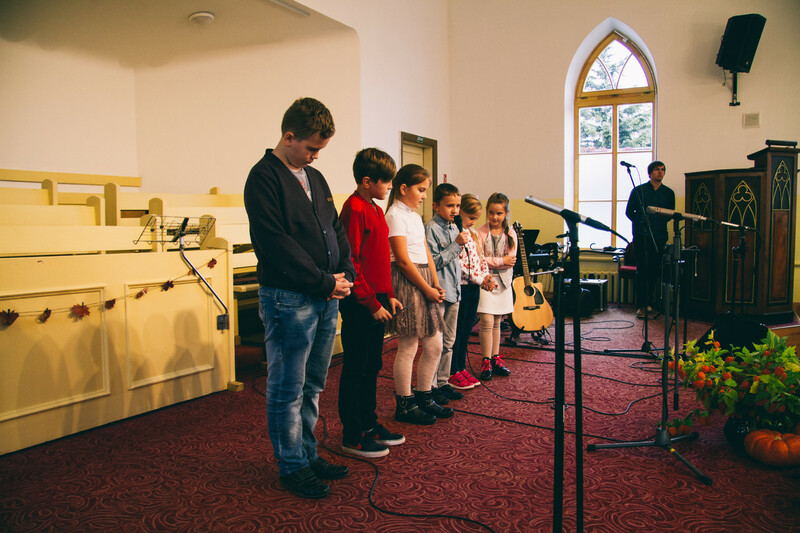 All the participants were divided by groups and then they had to visit several checkpoints, where different tasks were waiting for them. 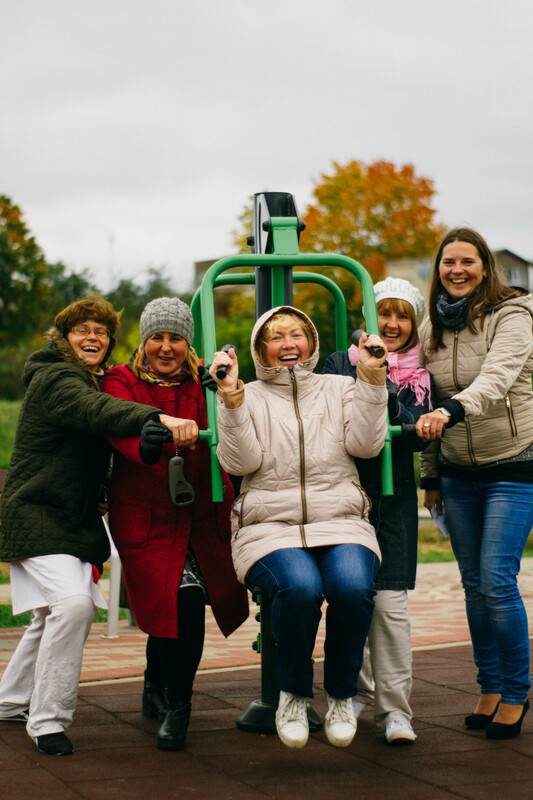 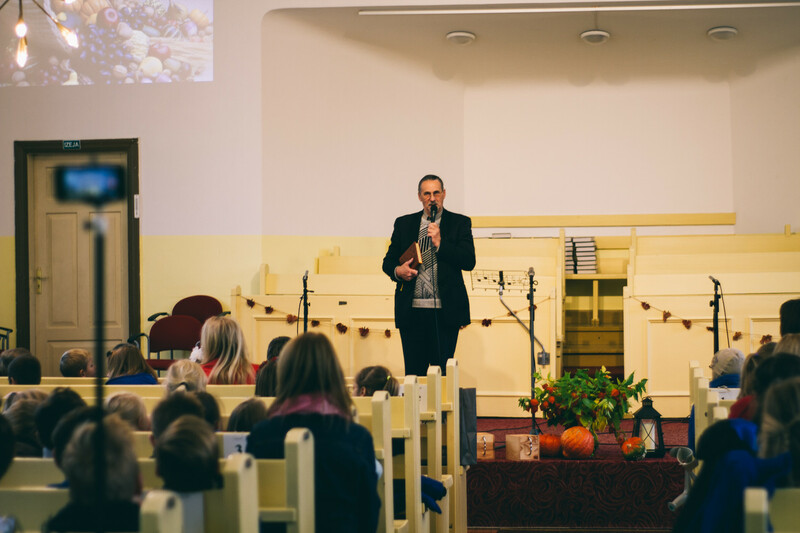 After long orienteering through Talsi, all the participants were welcomed to fellowship house of Talsi Evangelical Lutheran Church. 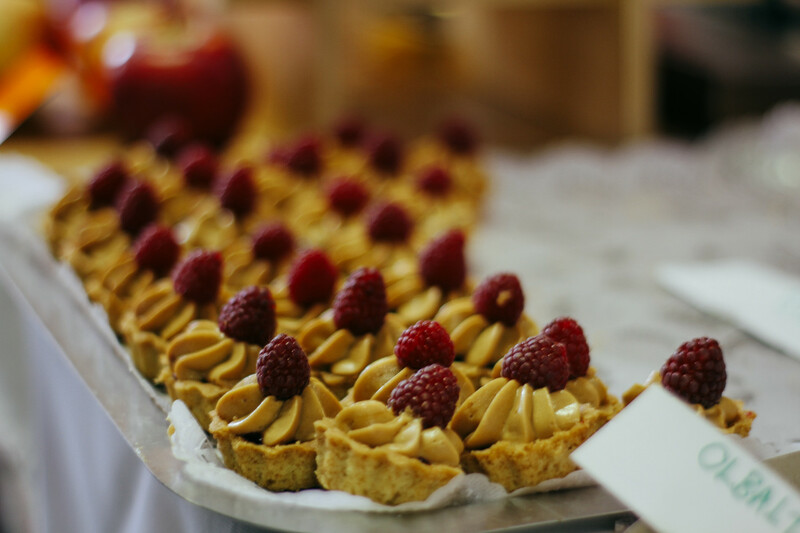 There were beautifully laid tables, peaceful atmosphere and students that were ready to pamper all the teachers and staff members. 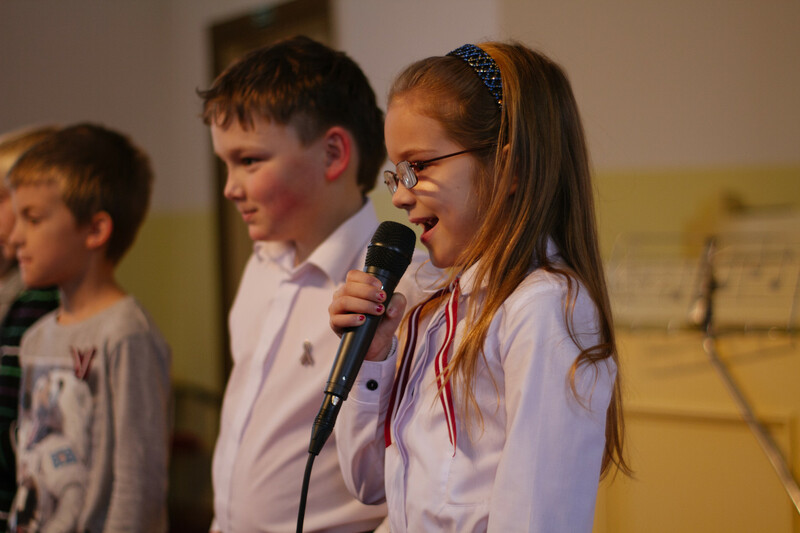 During the evening students from TCS were giving musical performances to grant unforgettable emotions to all the teachers and staff members. 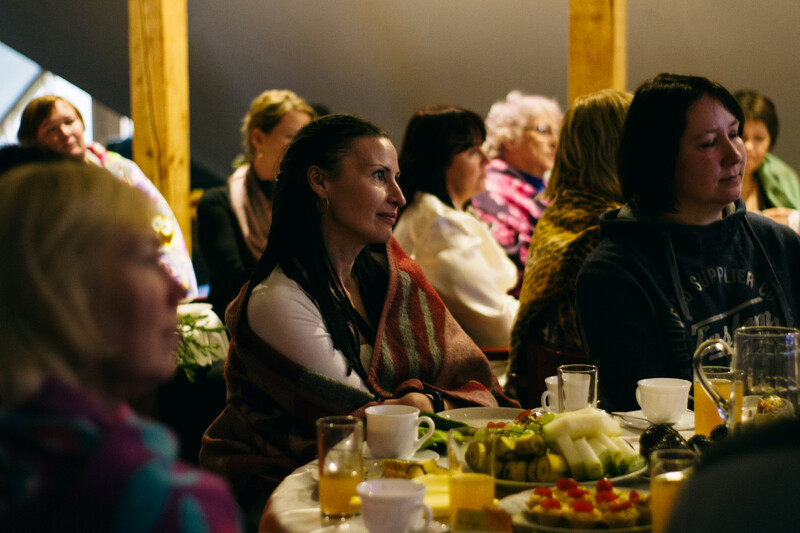 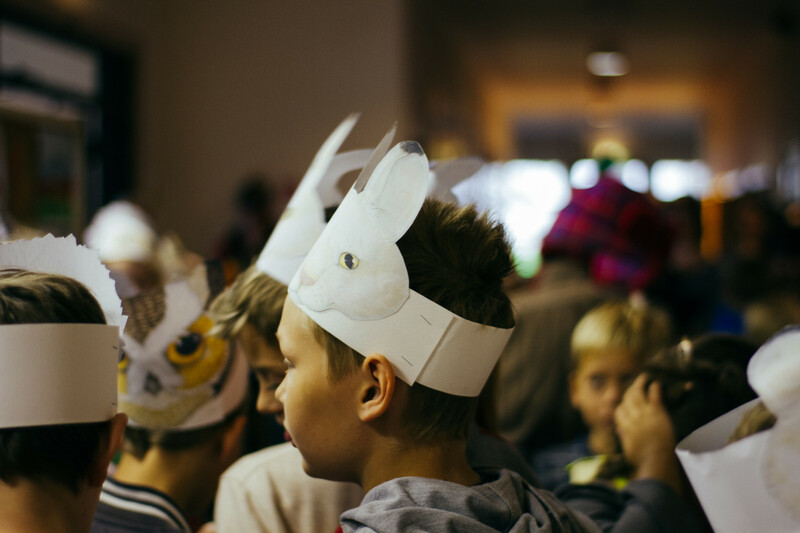 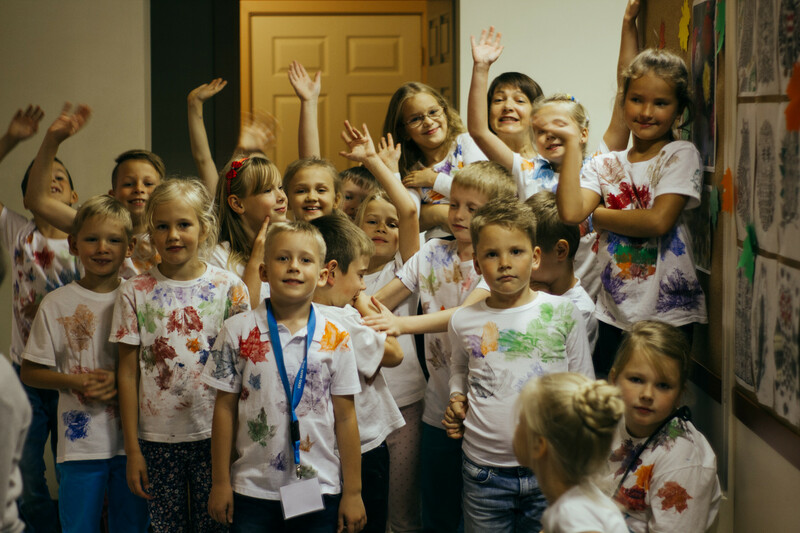 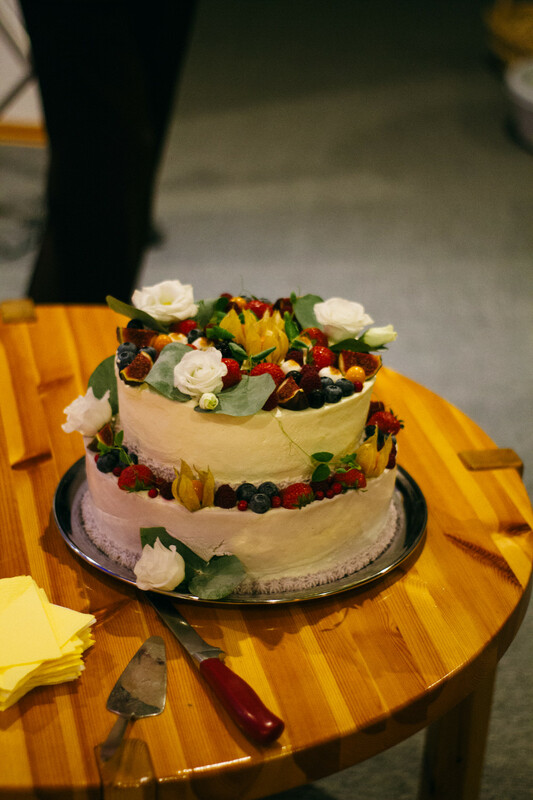 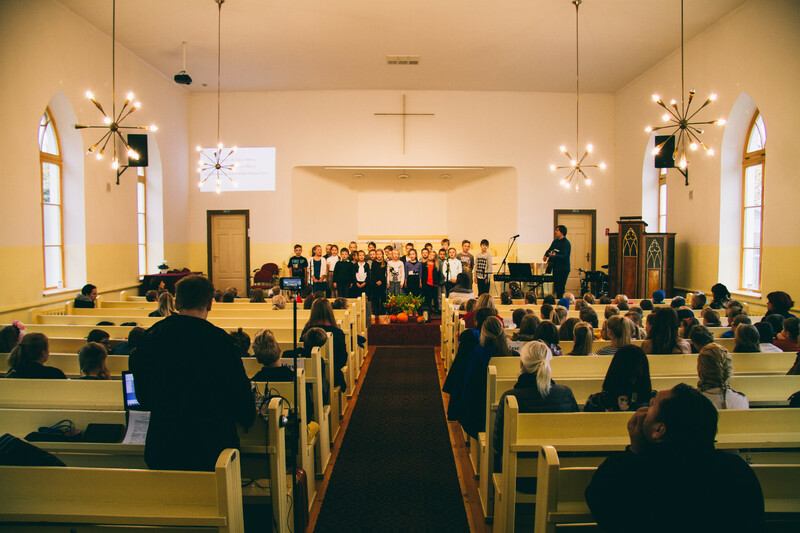 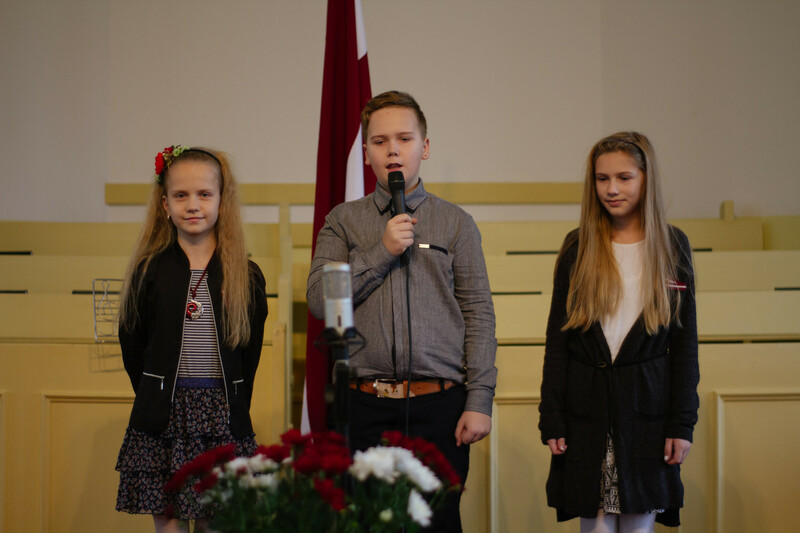 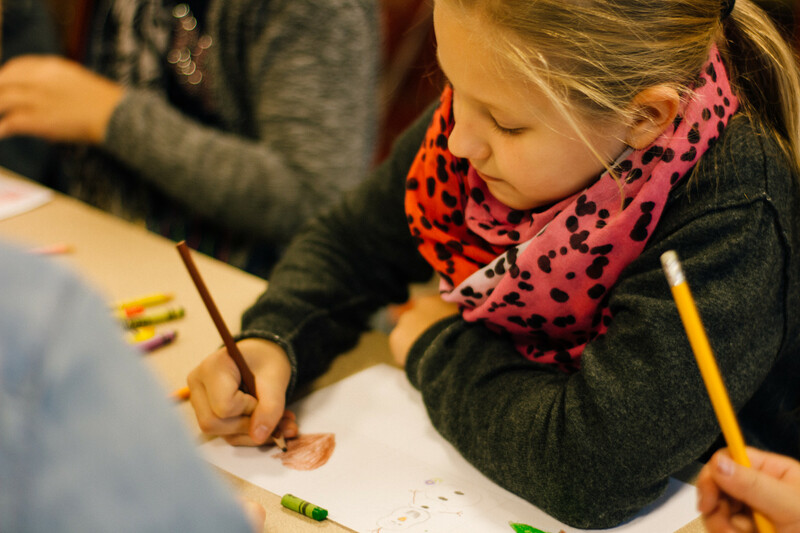 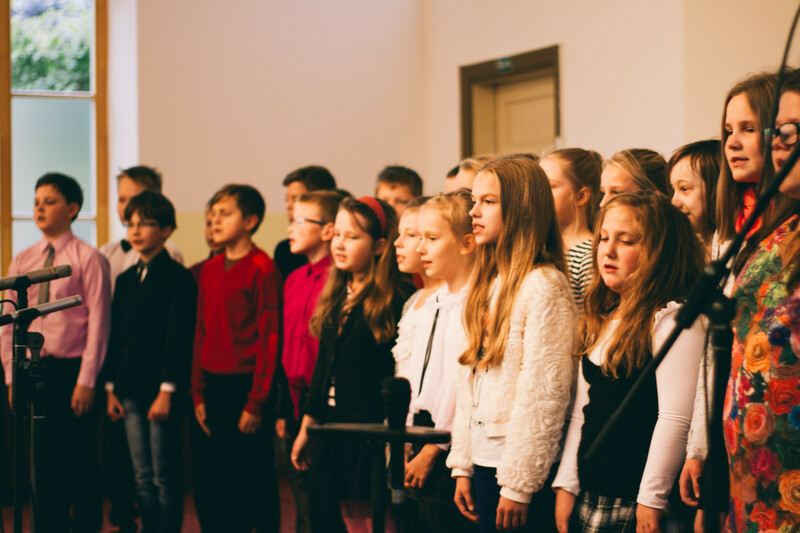 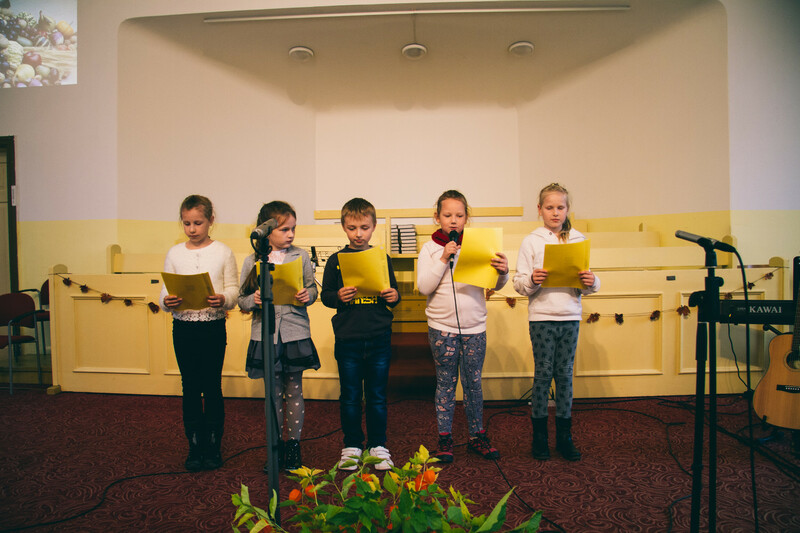 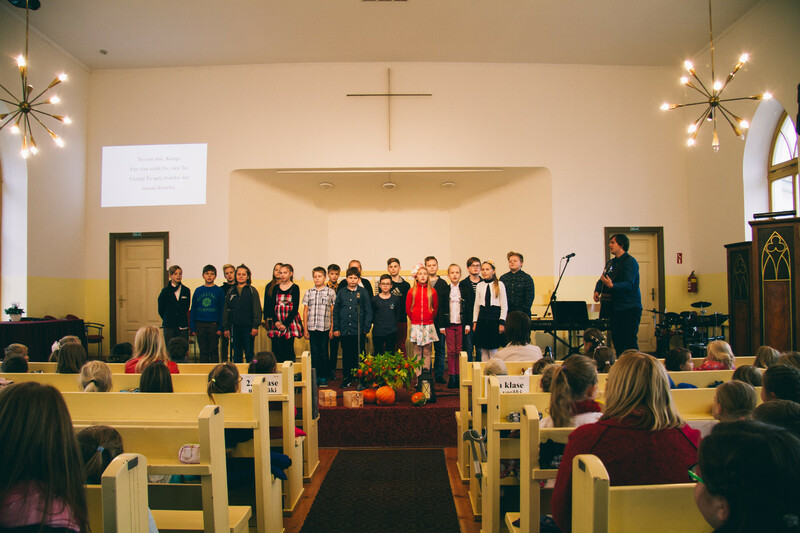 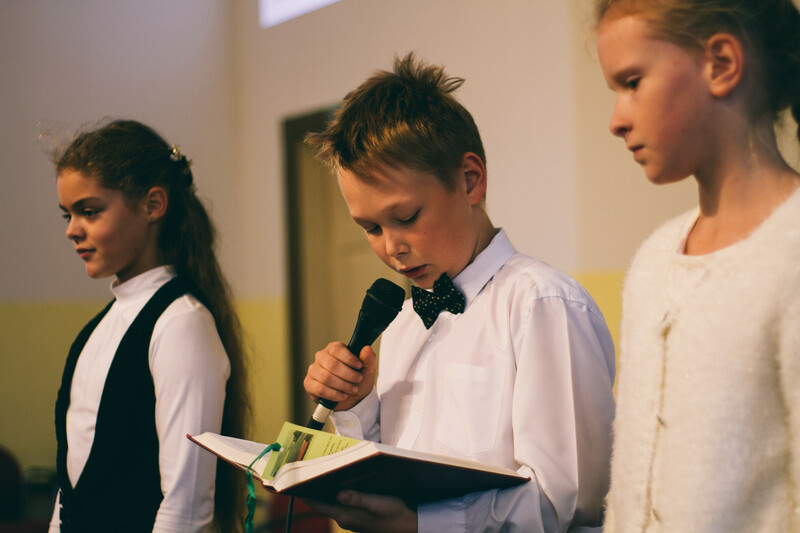 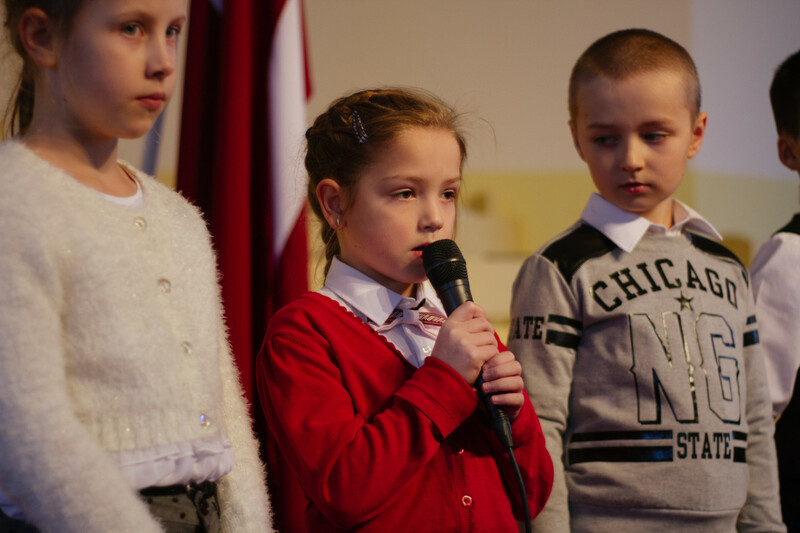 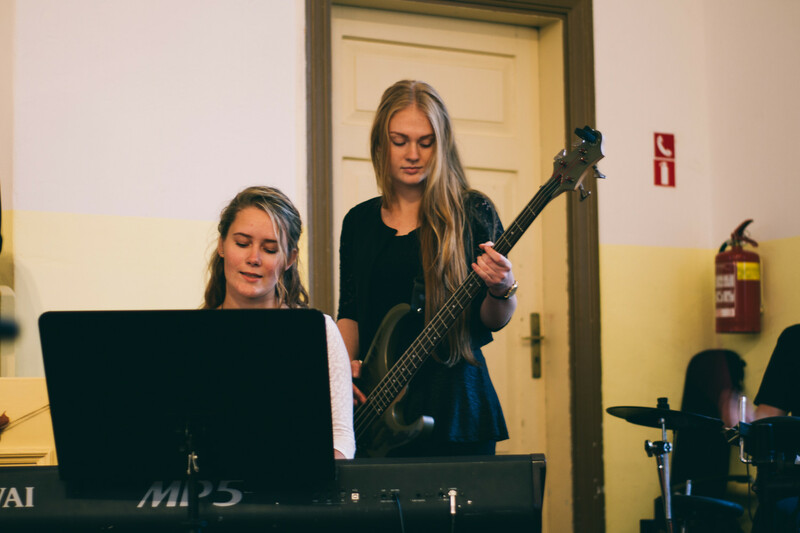 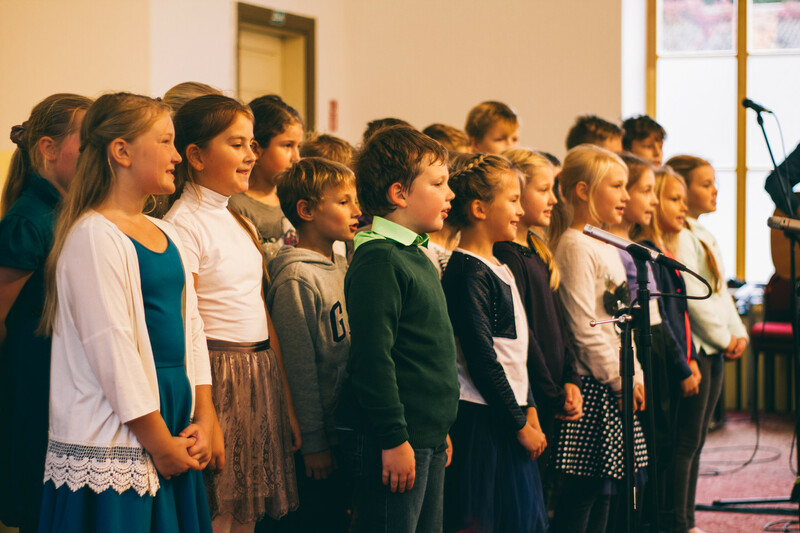 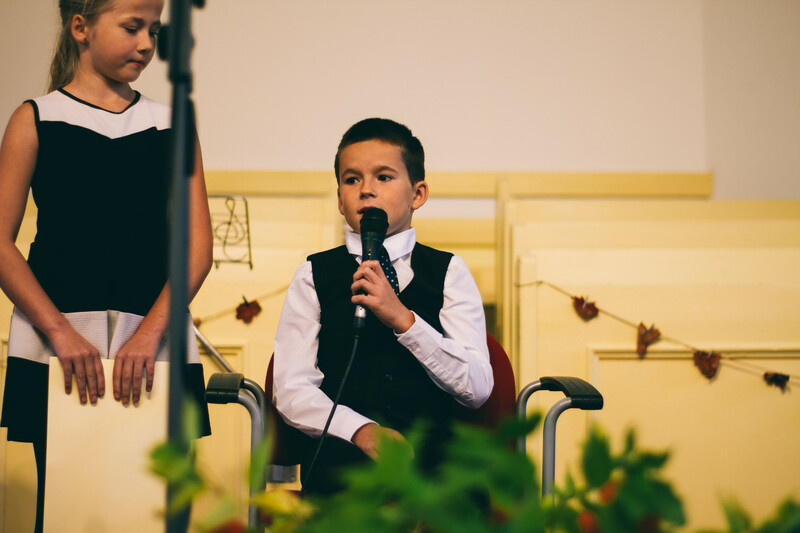 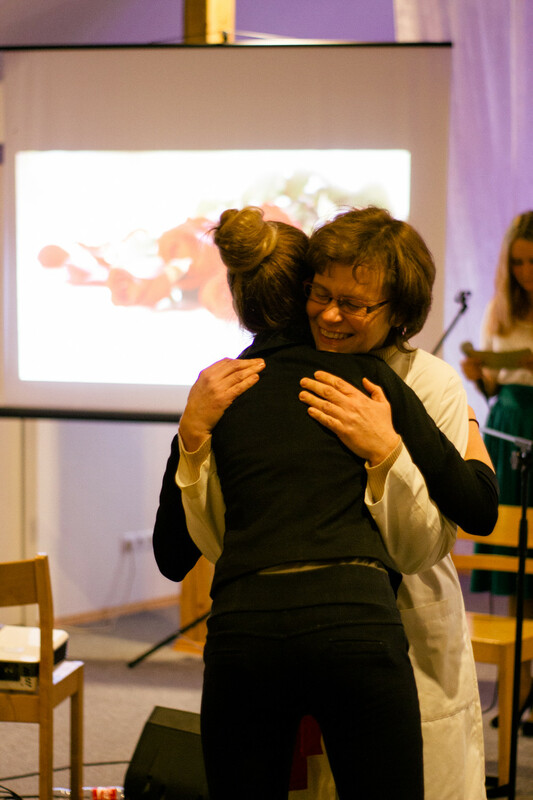 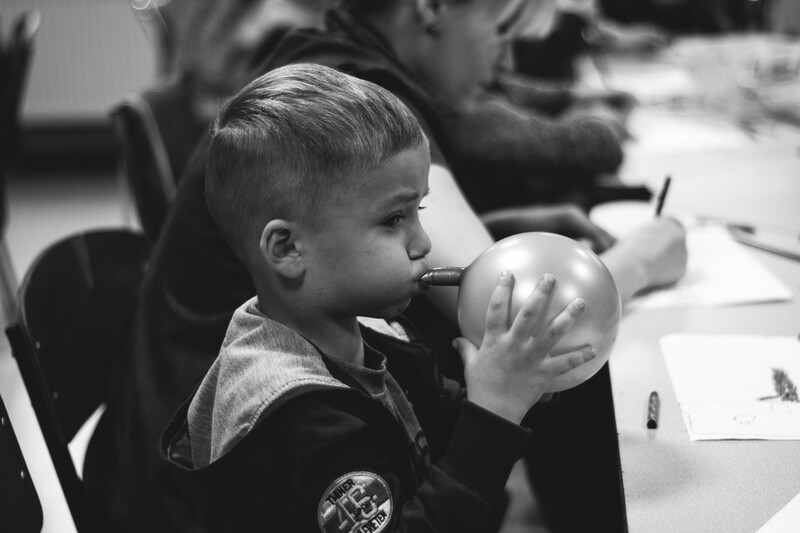 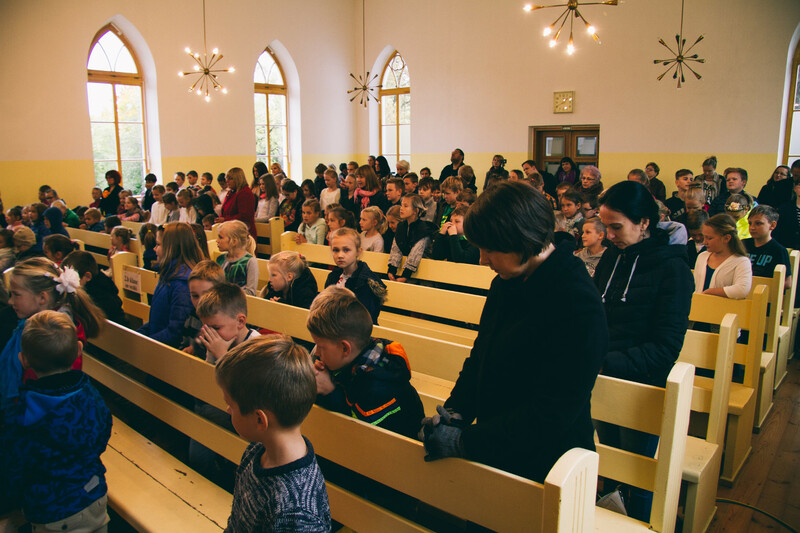 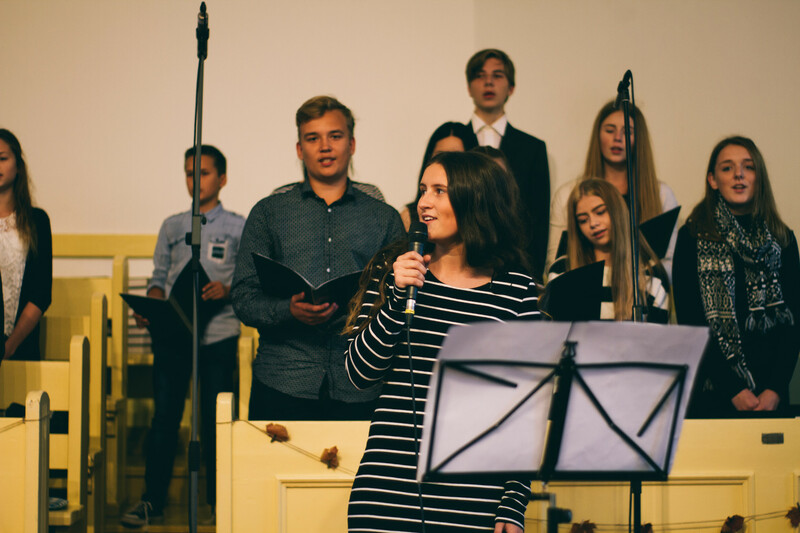 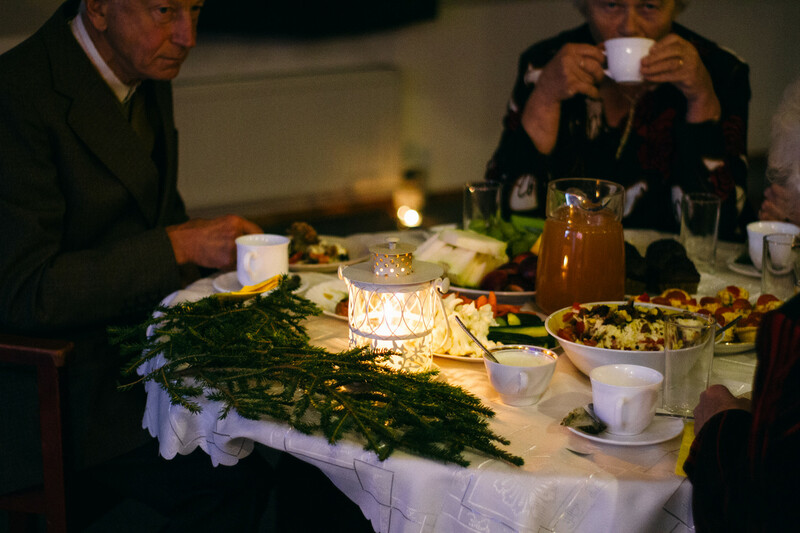 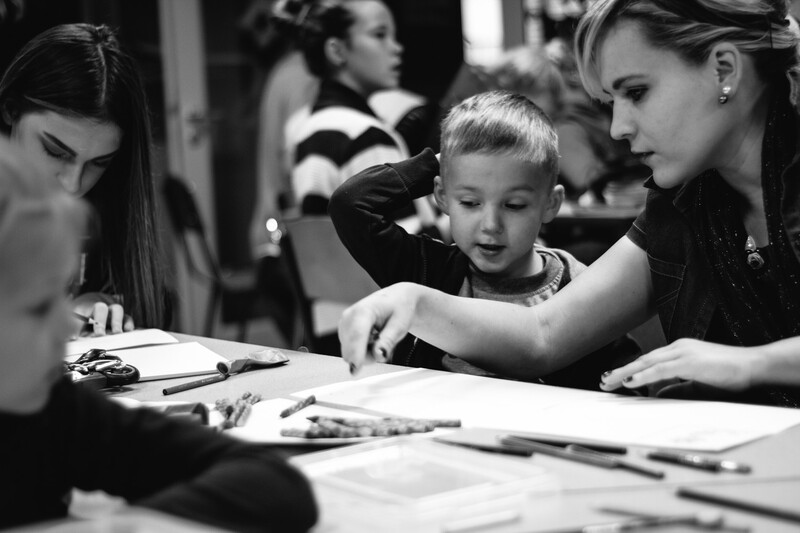 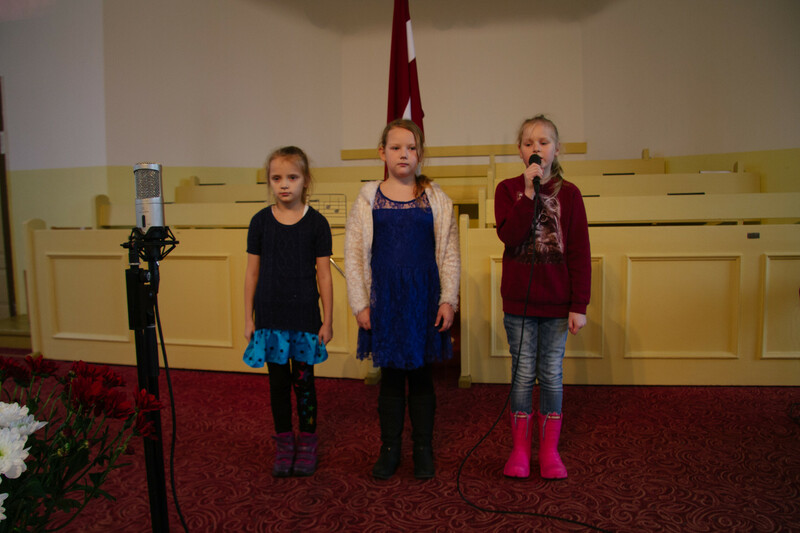 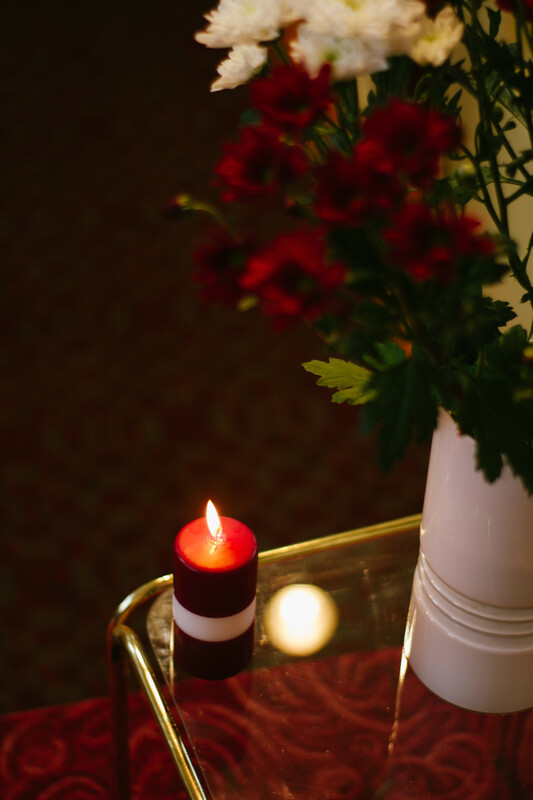 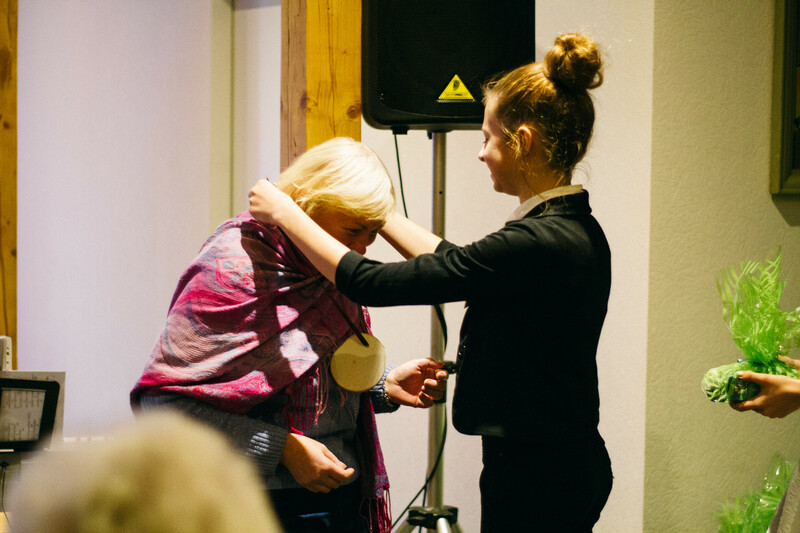 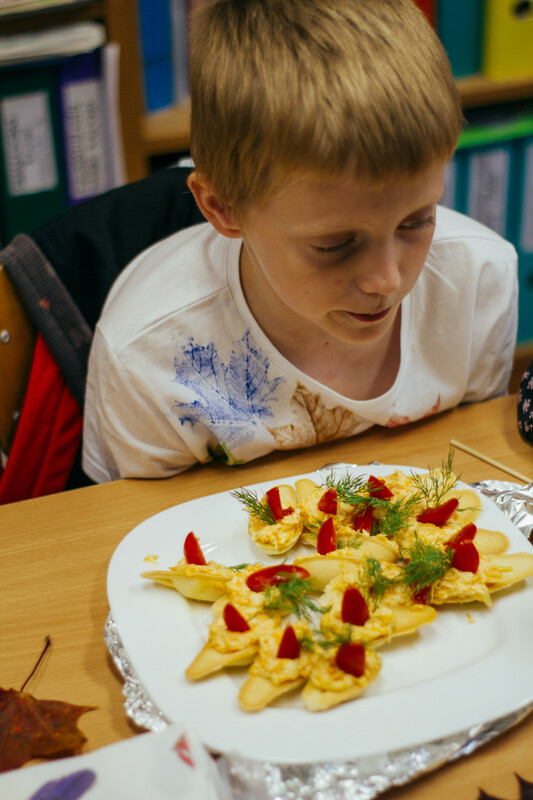 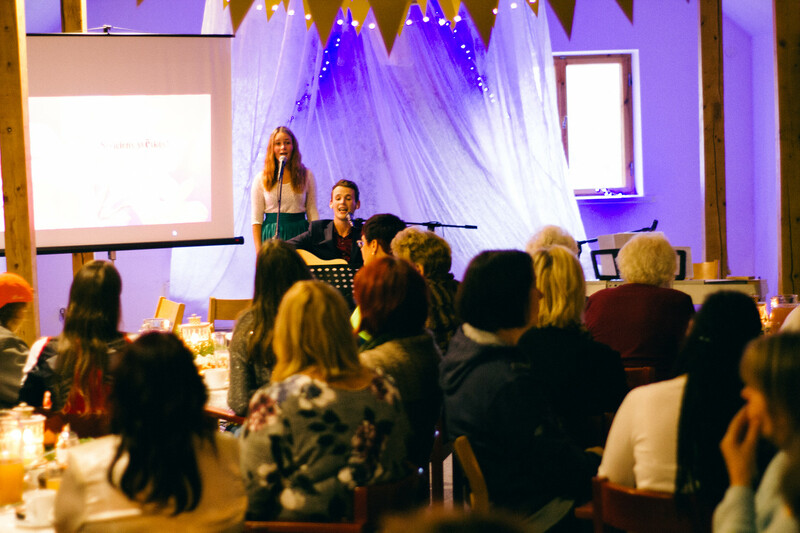 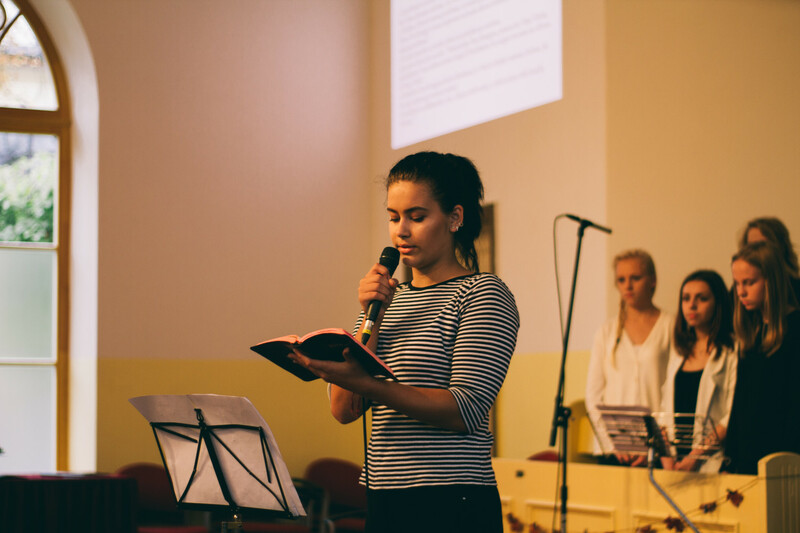 On the 6th of October Talsi Christian school was celebrating two Thanksgiving church services. 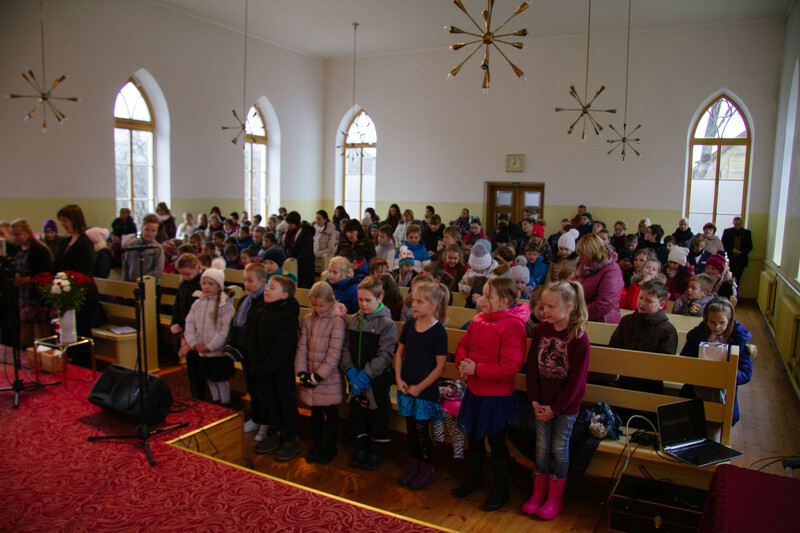 The first church service was held by students from grades 1 to 5. 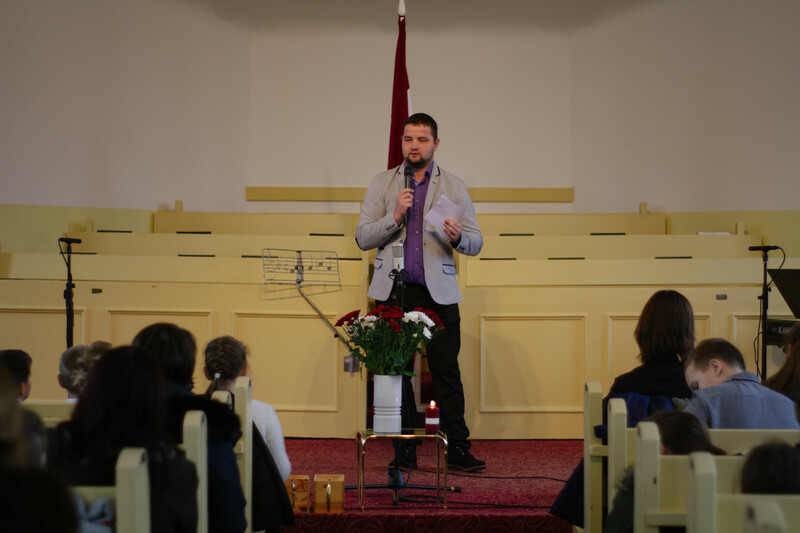 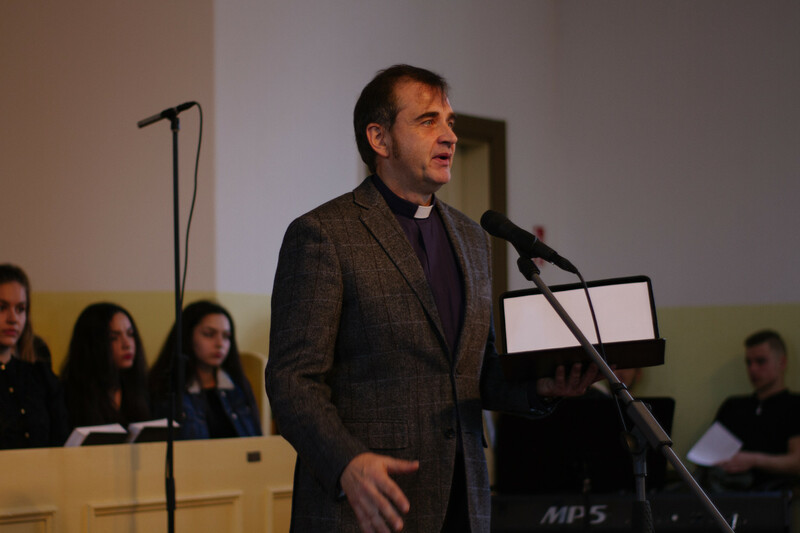 Priest Miervaldis Lindmanis from Talsi Baptist church was speaking to them. 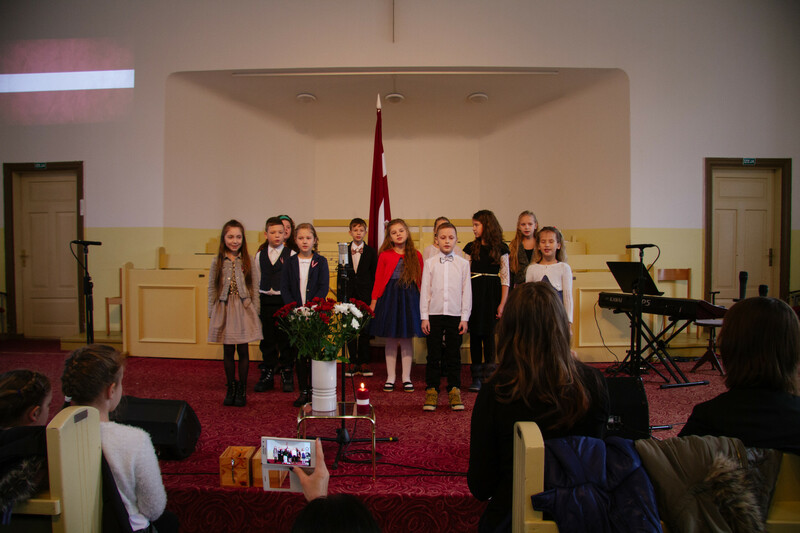 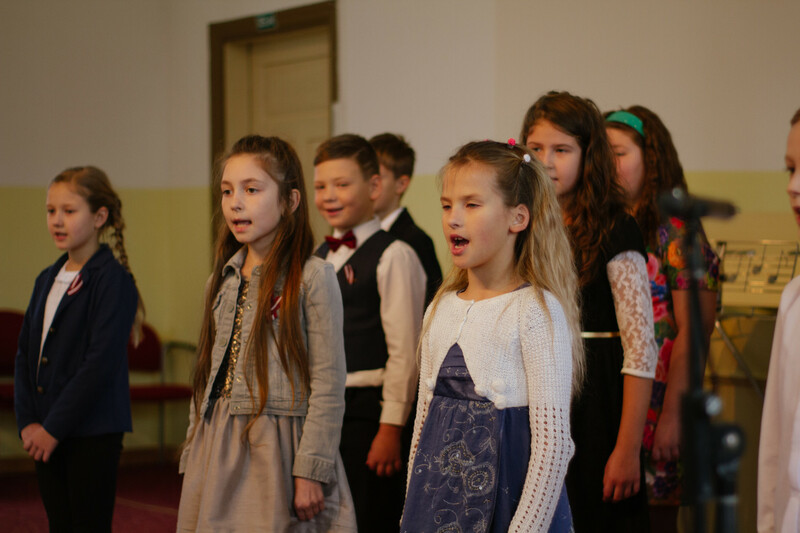 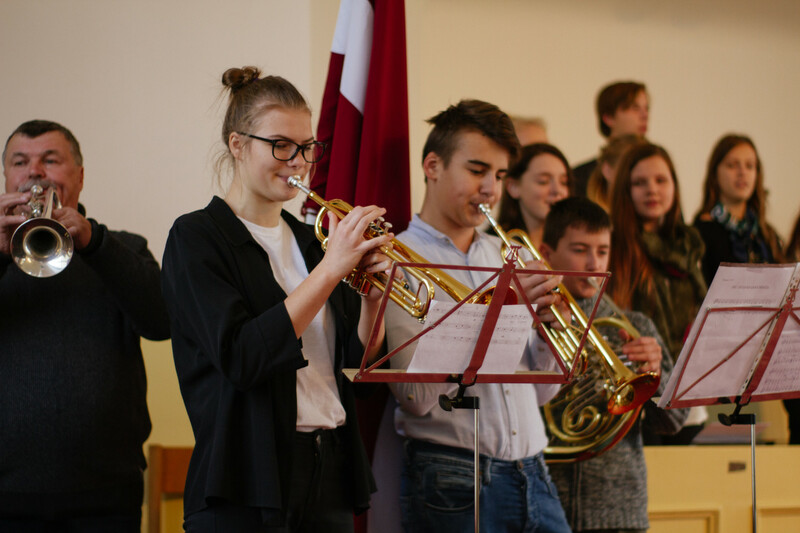 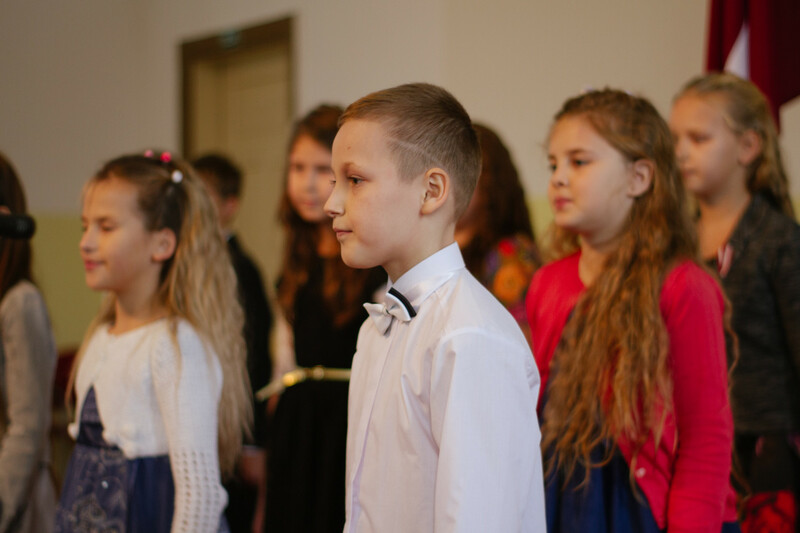 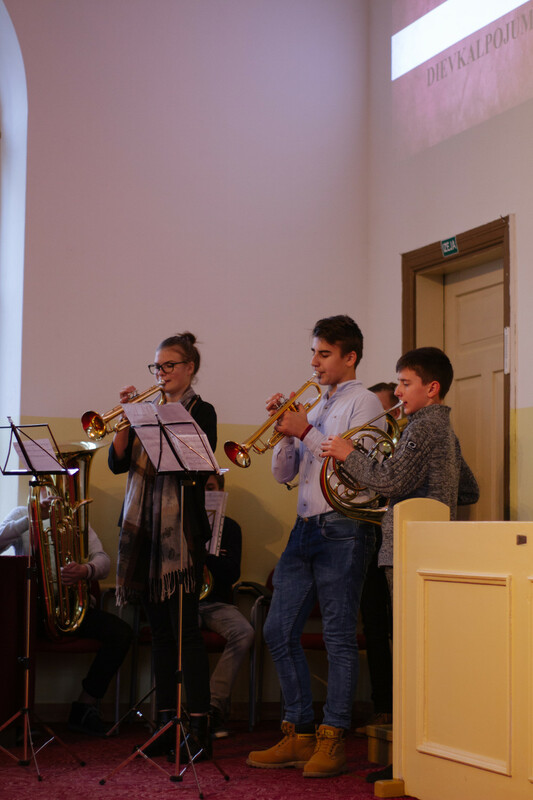 Each grade made their own performance in the church service together with music teacher Gatis Jugāns. 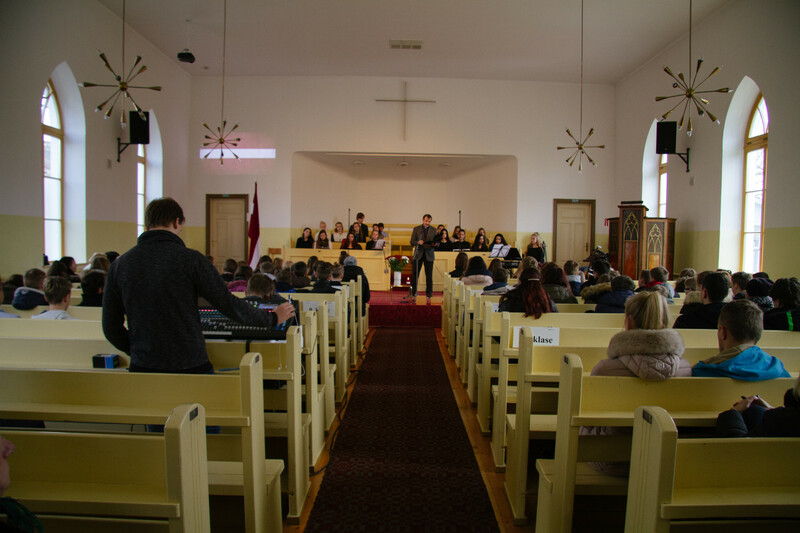 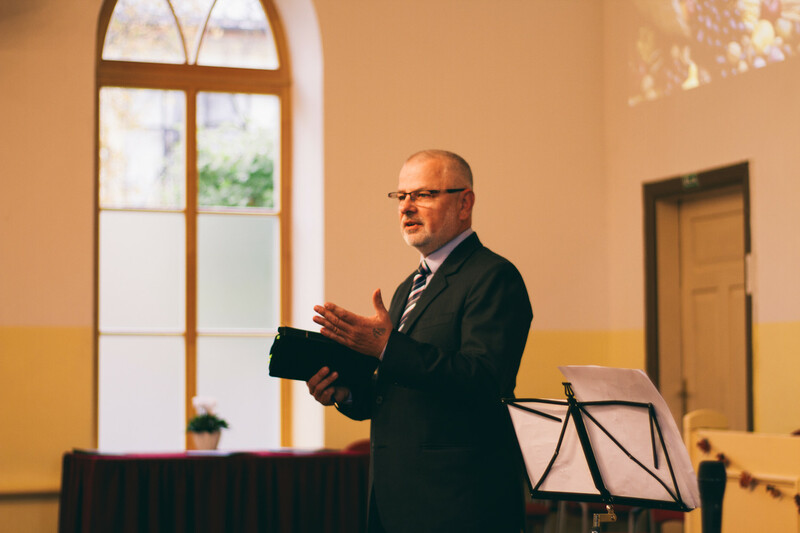 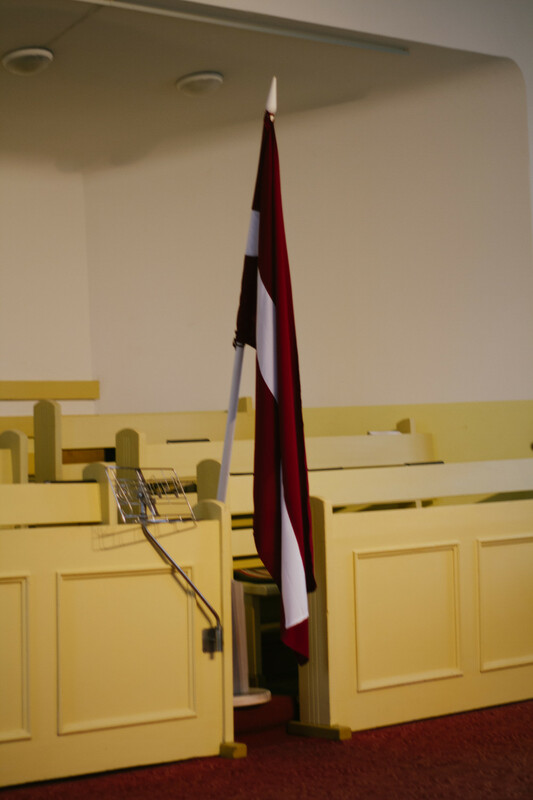 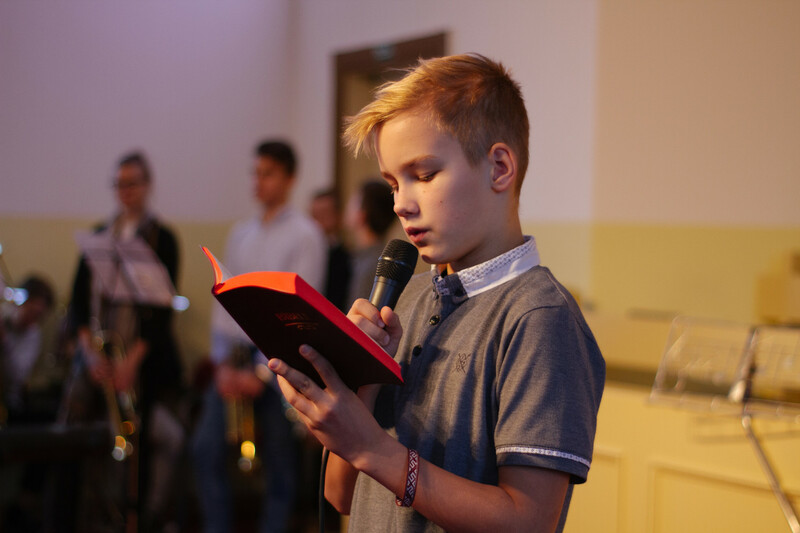 The second church service was for students from grades 6 to 12 and priest Ilmārs Ģērmanis from Talsi Christian Fellowship was speaking to them. 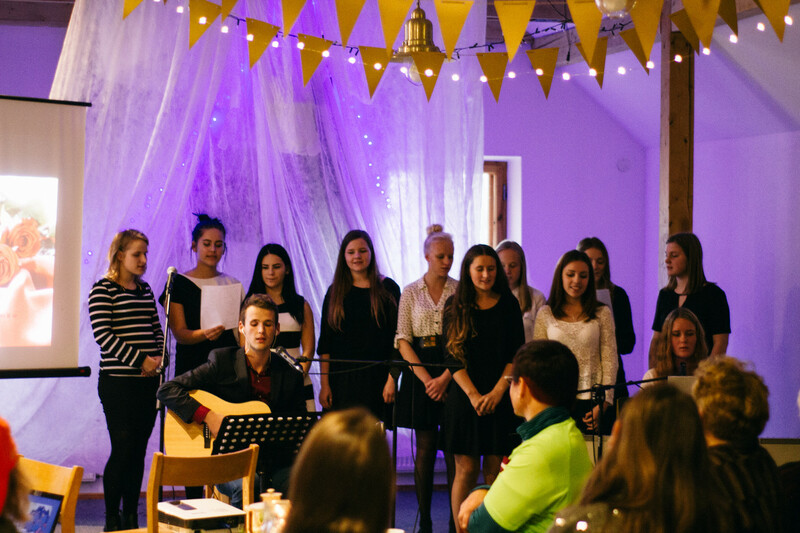 There was a choir from TCS that sang songs, and this choir was held by Emīlija Panteļejeva from grade 9. 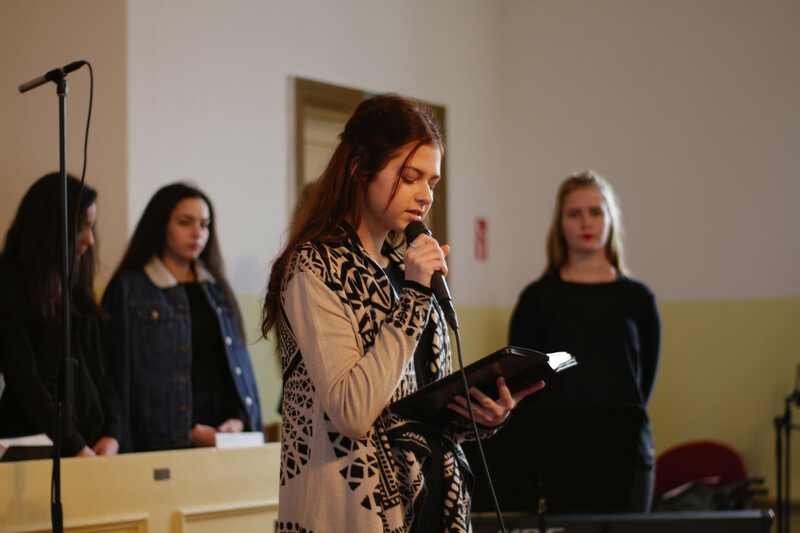 Students Agate Kniploka from grade 12 and Kristiāna Sniedziņa from grade 11 were giving their personal, inspirational testimonies about how God is working in their lives. 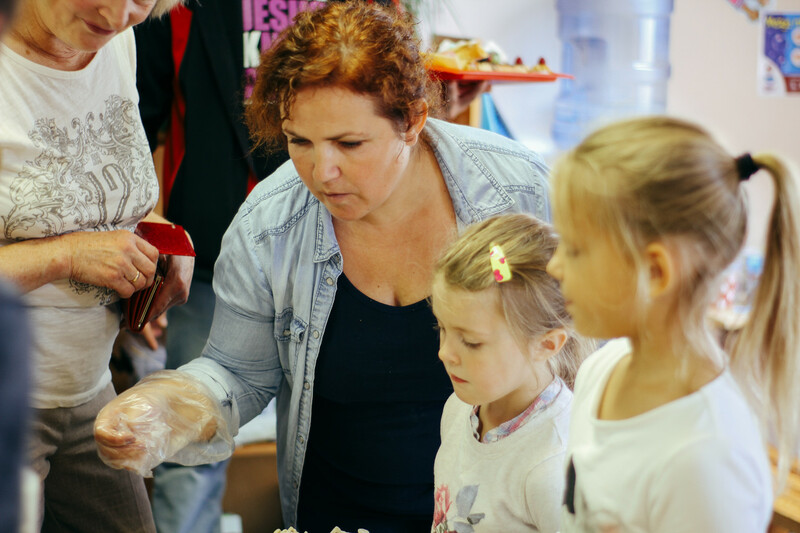 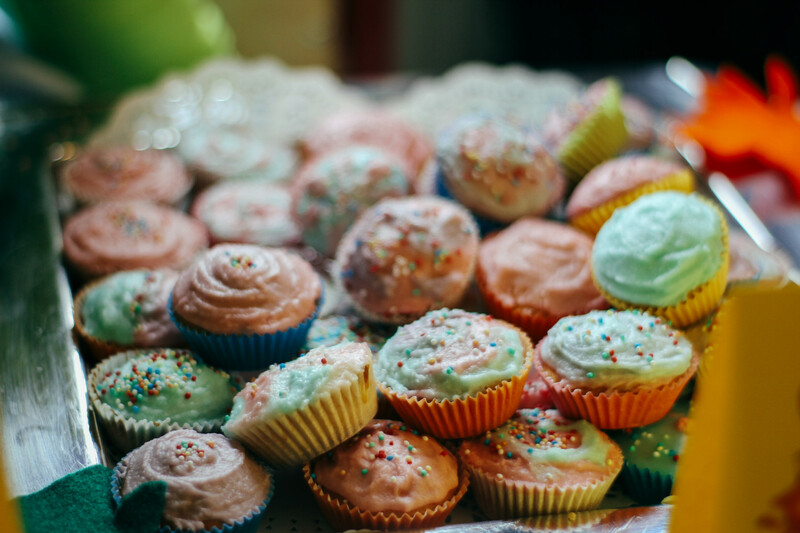 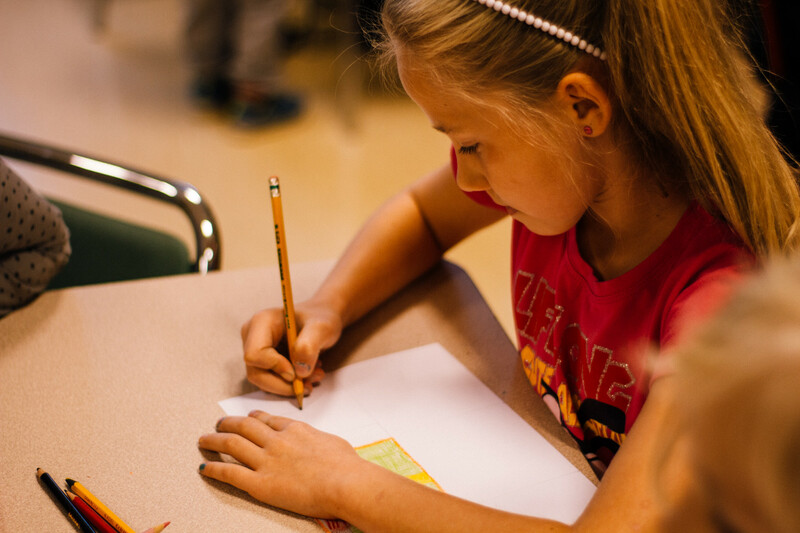 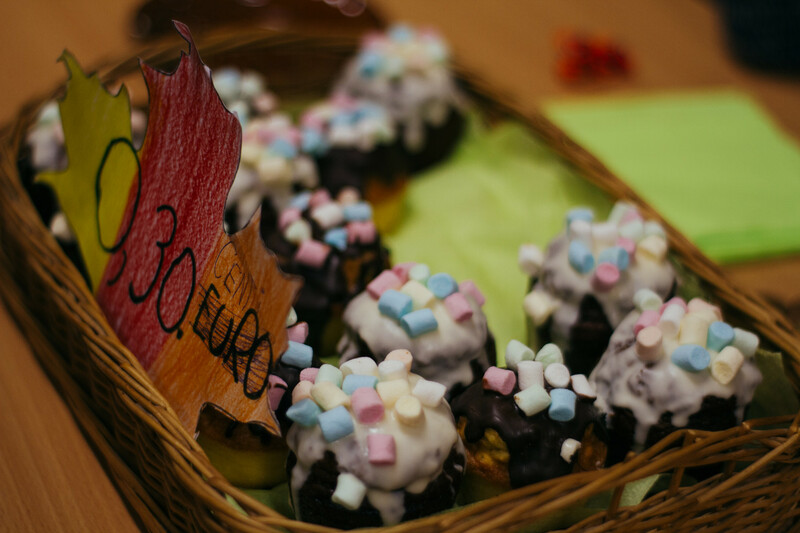 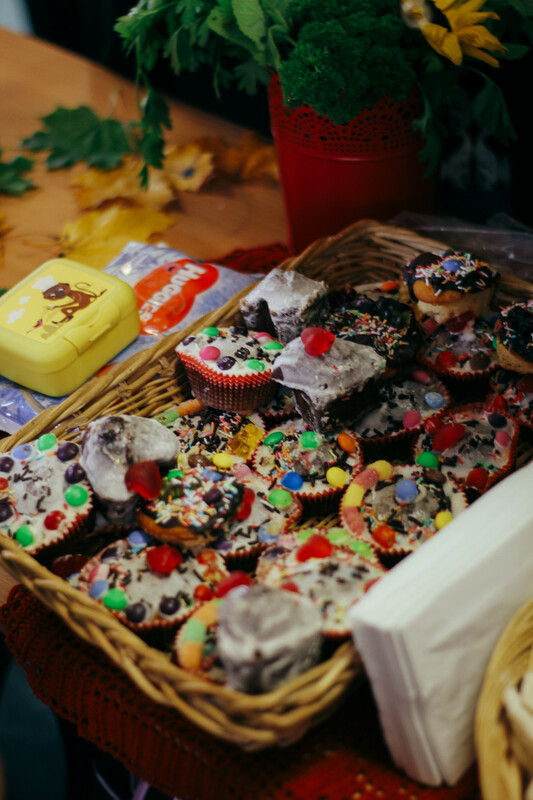 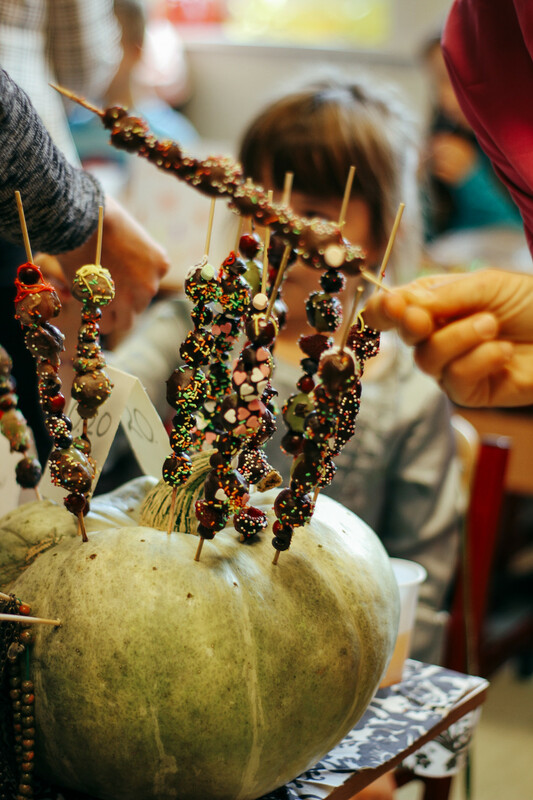 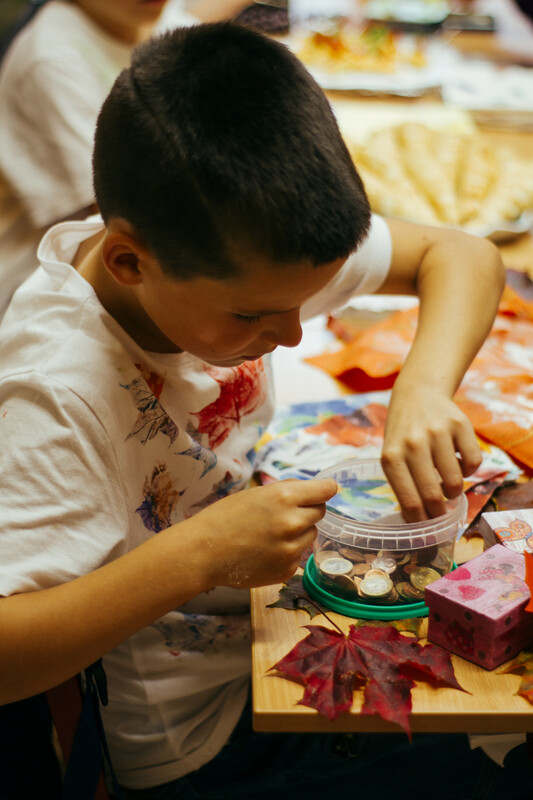 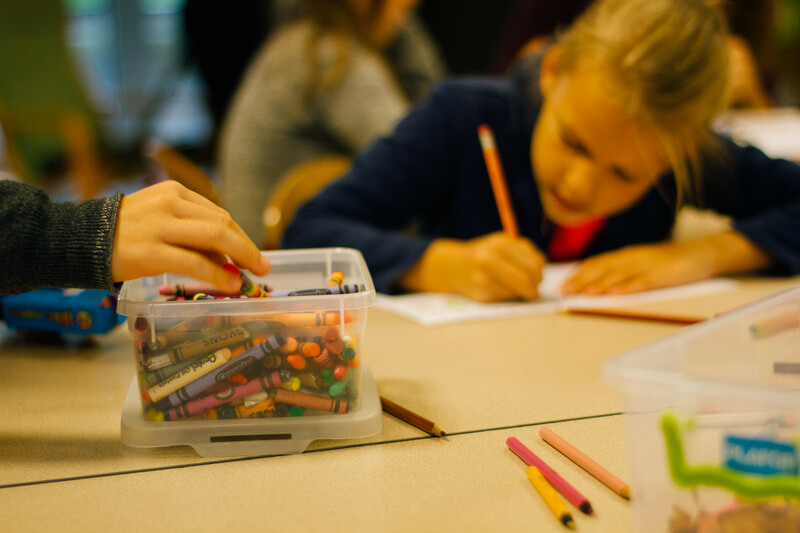 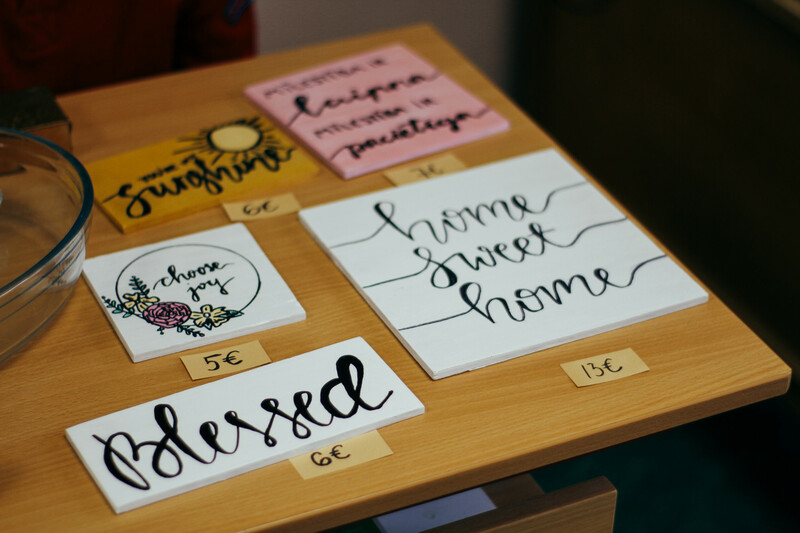 On September 29 at school we had Autumn Market, where kids from grades 1 to 4 were satisfying buyers with homemade treats. 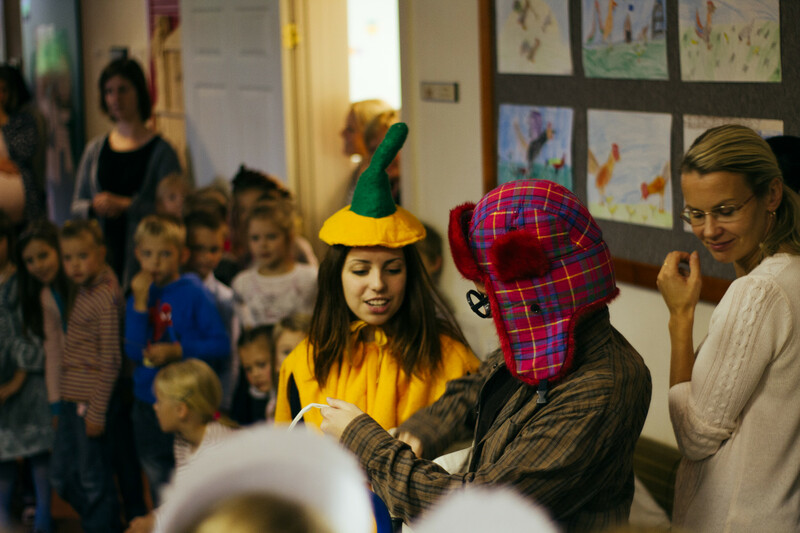 The market was opened by Gardener and Pumpkin that were giving kids some tricky puzzles about autumn. 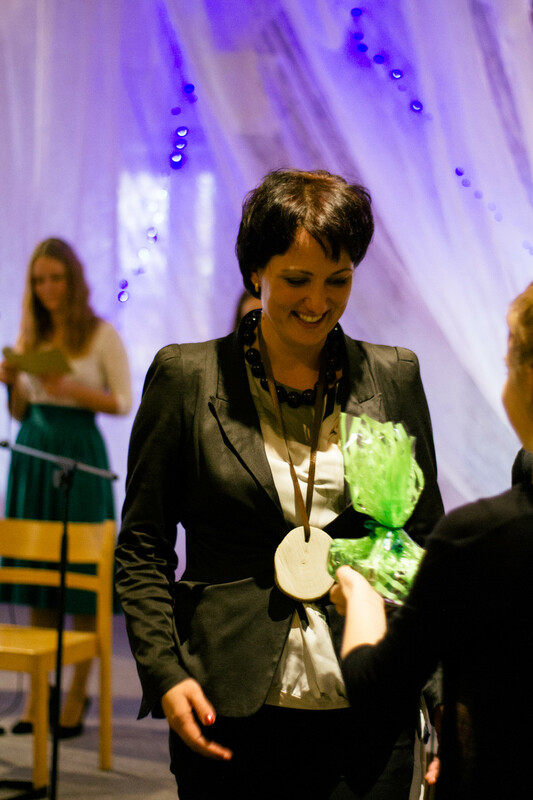 They were also giving awards to grades in different nominations. 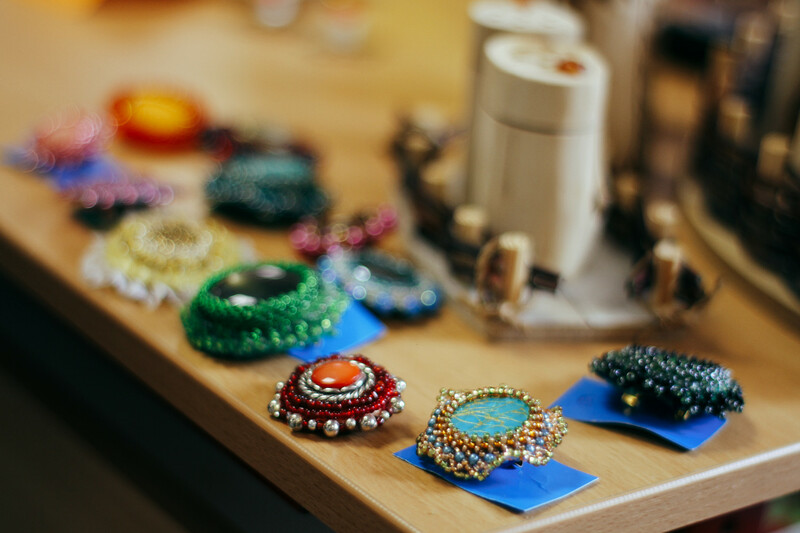 The buyers were students from eldest grades, teachers, staff, parents and other interested persons. 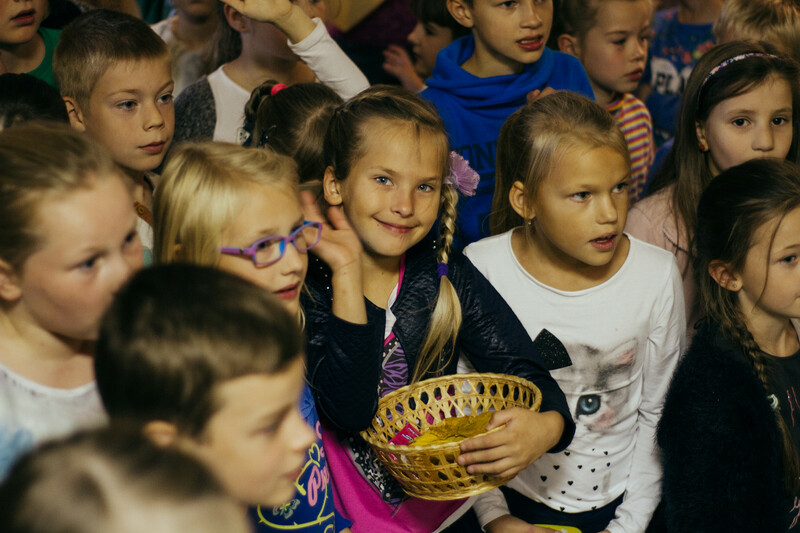 Thanks to the students and parents from grades 1 to 4 for all the prepared goods!